COME CELEBRATE AT THE GALA! Nelson Morgan is a 17 year old queer/genderqueer person from Barrie. After recently graduating high school, they are planning to attend Nipissing University in the fall for a Bachelor of Social Work, in order to continue their education in anti-oppressive practice and social justice. ​They have been an active member of the LGBTQ2+ community in Barrie over the past year, working with the Gilbert Centre both as a youth volunteer and as a member of the Gilbert Youth Board which facilitates relevant, queer-focussed programming in the Barrie and Simcoe area for LGBTQ2+ youth, including past events such as a Queer Valentine's Day party, a Youth Speaking Up! Forum, and a Seeing Queerly Art Show. ​Nelson is planning to become involved with the 2QTPride group at Nipissing University in the fall to continue their activism and community-building work. Nelson has also been active in engaging discussion in their own school and peer communities, both on- and off-line, to challenge homo/transphobia and inaccurate assumptions about queer people, and hopes to inspire other young LGBTQ2+ folks to feel empowered to speak up about their identities and become activists in their own community as well. Including youth leaders Terra Sandy Roy, Jesse Michael Sharma, and Marti Cress. My name is Jesse Michael Sharma, and I’m from Saugeen First Nation Territory. I am 17 years old. My pronouns are they/he and I identify as Two-Spirited. I am an advocate for trans and Two-Spirit youth local to Simcoe County and Beausoleil First Nation. ​The work I have done throughout my high school years includes teaching introduction to Anishinaabe language classes, zine making workshops, poetry writing workshops, teaching pow wow dance and traditional drumming, and creating space for Indigenous and Non-Indigenous LGBTQ2S+ youth. Skills I have obtained during my borrowed life include: porcupine quillwork, woodland art styles, graffiti writing, songwriting, song composing in traditional Anishinaabe styles, digital art, and writing in Ojibwe syllabics. I recently received an award for my community work ethics by the Rotary Club of Midland, Ontario. I recently hosted a Two-Spirit Pow Wow on August 4 at Springwater Provincial Park, and am working to enrich my cultural knowledge and Anishinaabe language skills. Mnaan Mad kwe ndizhnikaaz, myingan ndodem, Chimnissing ndoonjiba miinwa Chiminissing ndamiigwa. I am Terra Sandy Roy, I am a band member to and reside on Beausoleil First Nation (Christian Island Indian Reserve #30). I'm 16 years old. I am Youth Chief of the Beausoleil First Nation Youth Council (BFNYC), previously sat on the Barrie Native Friendship Centre Youth Council for 2 years as both Board members and Vice President. I was apart of the STACD (Start Talking About Coping and Drugs) Project through CMHA. Volunteered at the Barrie Native Friendship Centre for approximately 3 years as youth leader with the Wasa-Nabin program as well as the Right To Play Youth Leadership Program. Followed my work and joined the Well-being committee at my high school; worked with Springwater Provincial Park on a medicine wheel we designed and put in in June. Continued to develop my skills and career as much as I could bringing me to where I am today, helping in the development of the BFNYC, as well as several other youth councils across Ontario and lastly, organizing the Niizh Manidook Powwow with my peers for the community of Simcoe County. I am extremely humbled to be doing the work I am doing; being the voice and speaking for those who cannot. Keenan Aylwin was a candidate for MPP in Barrie—Springwater—Oro-Medonte for the 2018 provincial election and is currently a candidate for Barrie city council in Ward 2. Keenan was the second openly gay candidate for political office in Barrie’s history and the first-ever openly gay candidate for Barrie city council. He is a community organizer, activist, and has worked as an urban farmer. He is passionate about social justice and has been an outspoken advocate for various causes in Barrie, including LGBTQ2+ rights, anti-racism and climate action. During the provincial election, Keenan was endorsed by Proud Politics, an organization that supports and promotes LGBTQ2+ candidates across Canada. Dr. Rodway-Norman is a physician at Orillia Soldiers' Memorial Hospital (OSMH) as well as a member of OSMH's LGBTQ2S Committee. In her work she participates in research and mentors colleagues with respect to Trans-inclusive care. She has presented research findings at the Rainbow Health Ontario (RHO) Conference in Sudbury and at the Waypoint Research Symposium. She has advocated for enhanced funding, programming and services for LGBTQ2S people at all levels of government, specifically in heath care infrastructure. Her involvement with the OSMH LGBTQ2S Committee is invaluable and was instrumental in moving research for the Trans Community through the process, which led to the establishment of the Trans Health Hub at Couchiching Family Health Team. Randy Davis recently accepted the position of Gay Men’s Sexual Health Coordinator with The Gilbert Centre and volunteers as the Pride Coordinator for the Prevention Access Campaign. Randy also sat on the board of Barrie Pride as its Healthy Living Coordinator. Randy has lived with HIV since being diagnosed on February 19, 2015. As an activist and advocate for people living with HIV, Randy is a loud and proud supporter of the U=U message and movement. Sharing the stigma-smashing science that “HIV positive individuals who achieve and maintain an undetectable viral load can’t transmit the virus sexually” has become a passion for Randy. Unafraid and unapologetic, Randy shares his lived experiences and his authentic self with all who wish to help in ending the shame and ignorance surrounding HIV/AIDS. Randy has been a guest on several Rogers TV Barrie programs including The Pleasure Diva, Viewpoint, and With Gerry. He has also been twice interviewed on CTV Barrie and was a guest speaker at the Gilbert Centre’s World AIDS Day event in 2017. You can often find Randy speaking at Barrie Pride events and sharing information about HIV with attendees. Randy was most recently a guest speaker during Pride Toronto on a panel discussing Living and Thriving with HIV and spoke at the Centre for Gender and Sexual Diversity’s GSA Leadership Forum in Toronto about Smashing The Stigma of HIV. Randy is slated to take part in a Community Forum during Fierté Capital Pride in Ottawa and he looks forward to many more opportunities to speak. HIV is the virus. Stigma is the disease. ​Steven was born and raised in Barrie, Ontario where he began volunteering while at St. Joseph’s High School doing his mandatory hours which led to a lifelong commitment and passion for improving his community. 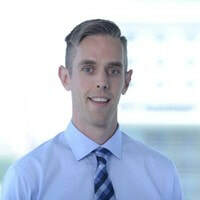 As Chair of the Sexual Orientation and Gender Identity Law (SOGIC) Section of the Ontario Bar Association, Ontario’s largest association of lawyers, Steven is a leader in the legal community across Ontario. He has personally consulted on various pieces of legislation affecting the LGBT community including the All Families are Equal Act, has taken part in important court interventions including Trinity Western University, and helped usher through changes to policy. Steven also leads a contingent of lawyers and law students from across the province to march in the Toronto Pride parade, giving visibility to LGBT people in a typically conservative profession. This year, Steven was successful in getting specialty made Pride lawyer tabs approved by the Chief Justice of Ontario to be worn in the parade, and the Chief Justice himself even wore a paid for a photo with Steven. This is in addition to the regular education and networking events Steven puts on for LGBT lawyers including the first ever legal session on Two-Spirited people. Steven also commits time to the LGBT community in the health sphere in many ways including his leadership on improving provincial cancer screening programs for trans people, his leadership on Boards and fund development committees for various LGBT groups including health centers, advocacy groups, and refugees, in addition to his advocacy on LGBT and disability rights. In addition he is a strong representative of the LGBT community and diversity issues dedicating significant time working with Independent Living and youth programs such as Camp OOCH and hockey school. He is a passionate leader in the community who truly believes in the importance of bringing your whole self to everything you do believing that diversity makes our community strong. The Borden Pride Network (BPN) was formed in the summer of 2016, under the direction of Brigadier-General Liam McGarry, Commander of Canadian Forces Base (CFB) Borden. The Committee was established to provide support for those military members and civilians who live and/or work at CFB Borden. Chaired and Co-Chaired by Captain John Niles and Sergeant Shannon Vickery, the Committee meets on a monthly basis to discuss upcoming events and to address any concerns the members may have. In collaboration with Fierté Simcoe Pride (FSP), the first official Pride Flag Raising at CFB Borden took place during FSP in 2016. Since then, BPN has had representatives speak on diversity on the CFB Borden Positive Space Ambassador Course with the mission of creating a positive and safe place for LGBTQ2SA military members. In order to build a cohesive and unified relationship with the local communities, the Committee has worked diligently to leave their mark by volunteering alongside 519 Toronto, a non-profit organization by collaborating with local Pride organizations in Simcoe County and by participating in local Pride Events such as Barrie Pride, Clearview Pride and the Transgender Day of Remembrance. To foster a more effective means of communication and passage of information, the BPN was recently approved to create a generic e-mail inbox in which members may communicate any concerns that will be dealt with in a time sensitive manner. The Committee is also designing a support web page that will be accessible to all Canadian Armed Forces members with the goal of increasing their visibility, advertising local events, as well as offering resources available to support all Defence Team members. Since its inception, the Committee’s growth has been exponential and the support from the Chief of Defence Staff has been second to none. Diversity is our strength! ​The Simcoe County District School Board (SCDSB) inspires and empowers learning for life. Our vision is a community of learners achieving full potential. Our priorities are to ensure, enhance, foster and promote excellence in teaching and learning; equity, diversity and inclusion; well-being; and community. Our school board consists of 87 elementary schools, 14 secondary schools and seven Learning Centres throughout Simcoe County. ​The SCDSB is committed to an equitable education system that upholds and reflects the principles of fair and inclusive education. We continue to grow partnerships with community organizations such as COPA, Egale, Harmony Movement, the National Council of Canadian Muslims, Roots of Empathy, The Canadian Centre for Gender and Sexual Diversity and The Gilbert Centre. Apple Annie's Cafe is located right in downtown at 101 Mississauga Street East. Serving daily baked goods, hot lunch and amazing drinks! Need a little treat?! Our sister fudge and gifts shop is just three doors down in the lower level of the historic Mariposa Market! We are a loud bunch, incredibly welcoming, full of awful puns and sassy comments. We are a completely judge free zone. We want our customers happy, healthy, unafraid and full when they leave. Come in for a drink, food or a judge free chat. We are here. ​We are an eclectic little Eatery in Barrie that focuses on the community as much as we do on our kitchen. It is no accident that the word Social is in our name. Like every sandwich on our menu we understand that everyone is different but at the same time, we are all similar at our core. We strongly believe in the power of love and encourage and support through the love of food for all others to do the same. The Lazy Tulip Cafe is open seven days a week for breakfast and lunch featuring mindful, healthy food options located right downtown Barrie! We offer a space that is open to all without judgement where you can be true to who you are. Because the world is all one, we are all connected as one and we all share the same cells that need love, acceptance and a good cup of coffee. The Town of Bradford West Gwillimbury is situated at the southern end of Simcoe County on the renowned Holland Marsh. The marsh’s black organic soils make the community one of Canada’s biggest carrot-producing regions, which gave rise to one of Ontario’s Top 100 festivals and events – Carrot Fest – which draws thousands of visitors every August. The Town’s 35,000 residents are spread across an expansive rural area, several small hamlets, and the larger urban area of Bradford. The Town of BWG is a community that loves to celebrate its heritage, including the many origins, beliefs and attributes of its residents. One of Simcoe’s most culturally and linguistically diverse municipalities, BWG’s local government supports frequent events including flag raisings, festivals and workshops that encourage celebration, awareness and inclusion of all. The Town has been a proud partner of Fierté Simcoe Pride for many years, hosting annual flag raisings and most recently a candlelight vigil. In the urban centre of Bradford, the Town’s Public Library and Cultural Centre is a constantly bustling hub of community activity. In 2018 the library was proud to expand its Pride Month offerings with a calendar of fun and informative events not only for the LGBTQ+ community but for all residents. The City of Orillia is a wonderful place to call home and a fabulous place to visit. Located in the heart of Ontario’s Lake Country, Orillia is a four-season playground on the beautiful shores of Lake Simcoe and Lake Couchiching. Whether you are enjoying the tranquility of our beautiful parks and trail system, or exploring our vibrant downtown with its quaint shops, restaurants and cafés, Orillia offers a wide variety of opportunities for all. Each year, the City of Orillia participates in Fierté Simcoe Pride Week by raising the Rainbow Pride flag and issuing a proclamation. True democracy only works when it works for everyone. We believe establishing a meaningful, inclusive environment creates a true community. I encourage residents to participate in Fierté Simcoe Pride Week activities to further promote inclusion in our community. ​Hunter's solo music project is called Grumps. Grumps plays sad/ angsty/ beautiful anti colonial songs on the banjo, fiddle and flute. For the last 3 years Hunter has been involved in organizing live outdoor shows in Tiny Township that feature Two Spirit, Trans and Queer musicians and bands.